A year ago, this girl was incredibly socially awkward. And it broke my heart. She has such a beautiful heart to serve and pour into others and to see her be so anxious and clam up almost any time she was with kids her age just about did me in — especially because she was then the one who got picked on, overlooked, and/or made fun of. We had many a long talk over her social anxiety and how she felt so lonely and left out. We tried putting her different social situations to give her opportunities to grow and learn to reach out and build genuine relationships, but each time, it ended in tears, stress, and fear over having to face kids her age again. She began avoiding kids her age as much as she could. We saw her closing up more and more and felt at a loss to know how to help her break out of her fear and anxiety. We prayed. We encouraged her with new ideas. We kept trying new approaches. One day, as I was crying out to God for wisdom, I felt this strong nudge that the best decision would be to put her in school instead of homeschooling. It felt like a crazy idea as I always assumed we would homeschool through high school. With much prayer, many tears, and much research, we made the decision to put her in a small Classical School. She was devastated when we broke the news to her. And my mama heart was torn up in pieces knowing how terrifying it was for her. But she did it. She showed up scared. 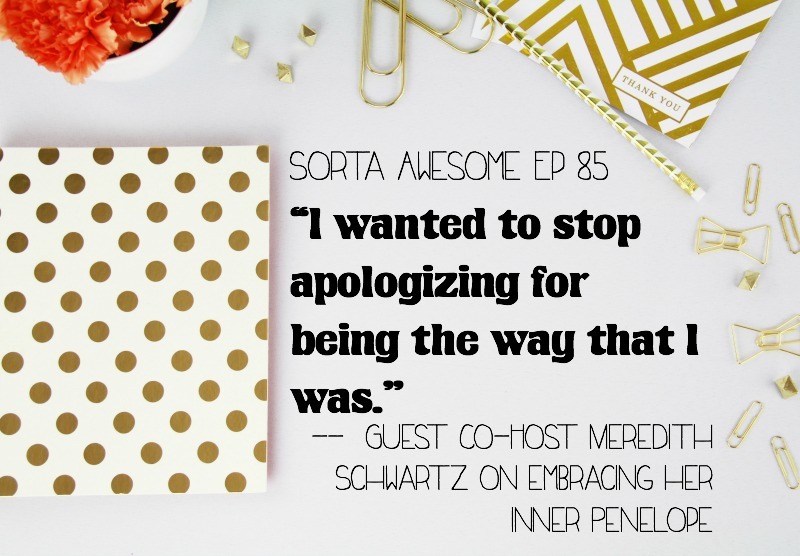 Knowing how intense her social anxiety was, I knew the insane amount of bravery it required. This week, I watched my friend Lisa-Jo’s . There was a lot of great material packed into the short video. And the that came with it was GOLD. .
By the way, Lisa-Jo has a brand-new course coming out with tools and tactics for moms who struggle with their temper. I cannot WAIT to go through it because I always need wise advice and encouragement in this area. As I’ve told you before, I have struggled with yelling at my kids. It’s something I wish I didn’t struggle with. I wish I could be the mom who could say, “I never yell at my kids!” But that’s not me. I’m the girl, instead, who has struggled with anger ever since I was a child. It’s one of the things I wish I could hide and pretend didn’t exist. But it’s also something that has caused me to need Jesus so much, to have opportunities to humble myself and ask for forgiveness when I fail, and to look for resources to help me tame my temper. Jesse and I watched the first episode and enjoyed it so much that we had the kids watch both episodes with us. So far, there has been very little language and it’s been a great show for us to watch together as a family. We also watched the newest episode of . I’ve surprised myself by really enjoying this show! Note: This show is definitely on the PG-13 level based upon the content and language. Also, a note on Poldark: We decided not to continue watching it past Season 2, Episode 7 after some warnings from you all. We looked at the reviews and we don’t see that any sort of redemptive story came in Season 2, so it just didn’t seem worth continuing. I was so sad, because I loved the show. But it’s not worth watching if it’s just going to get darker and there’s no redemption. I still wholeheartedly love and would recommend it. Note: This is not a show we’ve let our kids watch because of some of the content and topics. I loved the with guest host . Even though I’m not a total Penelope as she described on the show, more and more I’ve come to realize that I’m someone who tends to be naturally organized. Over the years, I’ve come to learn that not everyone is the same way. Not everyone sees the messes or the clutter like I do and some people have to work at it a lot harder. I finished Megyn Kelly’s book, , this past week and really, really enjoyed it. There is quite a bit of strong language in it and there were parts I didn’t agree with, but I thought it was well-written and very thought-provoking. I know that this is a year when people are very divided politically and I’m almost scared to even admit I loved this book — lest someone assume I’m siding with a particular person or party by saying that. Please know that that’s not what this book was about. If you haven’t read it and you’re at all interested in politics or journalism or how a woman in a high profile position is balancing work and family or topics related to feminism and women’s rights, I think that you’ll find this book interesting and insightful — even if you heartily disagree with it. I’m of the opinion that we should read things from differing viewpoints to help sharpen our beliefs, expand our thinking, and know what people who are very different than us believe. This is one reason why I’ve chosen that one of my main news sources for right now is actually from a much different side of the aisle than I would typically be on — because I don’t want to just listen to people who think like me tell me their opinion or viewpoint about current events and issues. I want to know what people who come from very different backgrounds and belief systems think, too, and how they came to those beliefs. Not so I can bash them, but so I can seek to understand. 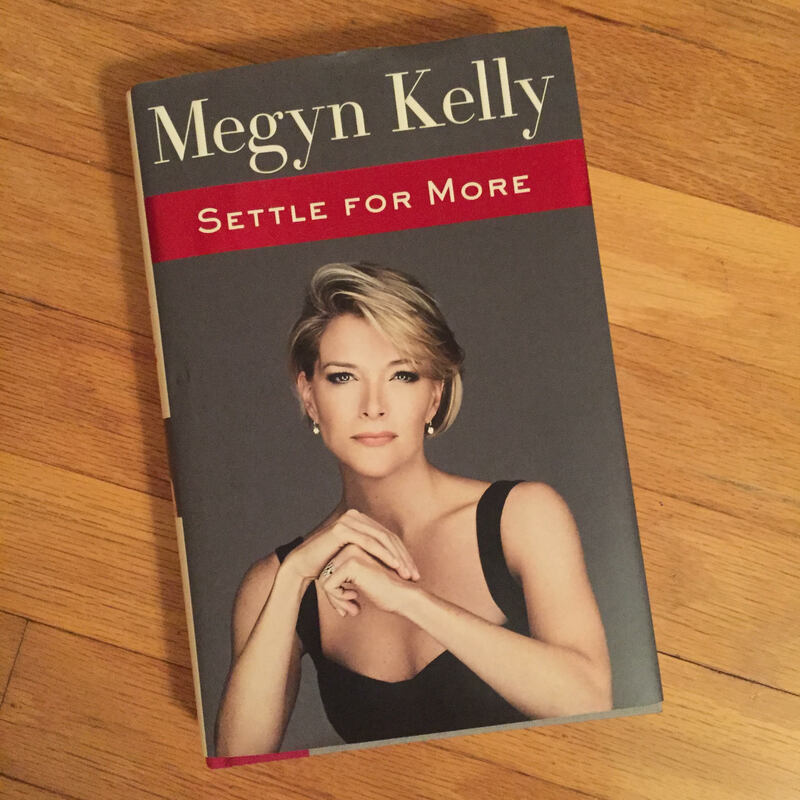 Anyway, all that to say, while I think Megyn Kelly and I would probably land very differently on many issues, I really was inspired by reading this book and hearing more about her life and her core values and principles. I also read Everyday Wellness by Nina Nelson (it looks like it’s no longer available anywhere online — I got the download as part of one of the Ultimate Bundles – , but it’s no longer in print) and . I’ve been upping my running time in the past two weeks, which means I can get in some reading while running on the treadmill! I’m thrilled about that because it means I can start going through all these ebooks I’ve gotten as part of the Ultimate Bundles! Have you gotten your Conquer Your Clutter bundle yet? If not, go check it out here. It’s on available through January 30, 2017 and it’s packed with lots of great resources to help you get your home and life in order. This week, I’m reading: (an old Christian reprint), (a spiritually encouraging book), (a story-driven book), and (a book on life improvement). You know what I recently realized? I rarely accept compliments. I almost always make some excuse or give some explanation as to why I’m not really worthy of receiving that compliment. Or, someone will say, “I love your outfit!” And I’ll say something like, “Really?? Um, I was rushing out the door and just grabbed something! I don’t really like it!” Or a thousand other similar variations. You want to know the person I’m the worst at this with? My husband. I pretty much always excuse or invalidate his compliment by my response. It’s sad, but true. Why do I do this? Why do I try to convince people by my responses that their kind compliment wasn’t valid? Why do I try to explain away or justify or excuse or put down myself? If someone were to give me a gift, I wouldn’t try to explain to them why it was a bad gift or not appropriate for me. That would be rude! But yet, when you think of it, a compliment is a gift, too. So I’m committed to stop excusing and invalidating others’ kind words and instead start responding with a simple, “Thank you!” When someone is kind enough to give me a compliment, I want to be genuinely grateful for their graciousness. Especially when it’s a compliment from my husband! What are YOU celebrating, reading, listening to, watching, or thinking about? I’d love to hear! Oh! I read that last year and loved it! Such a moving book! First of all, congrats on the progress with your daughter. My Catherine, age 8, seems to be shy in crowds of kids, and with kids she doesn’t know. I am trying to teach her ways to expand and explore as well. But mostly I wanted to comment on your taking compliments section. Because YES I DO THIS TOO, exactly how you said it, and especially with my husband. 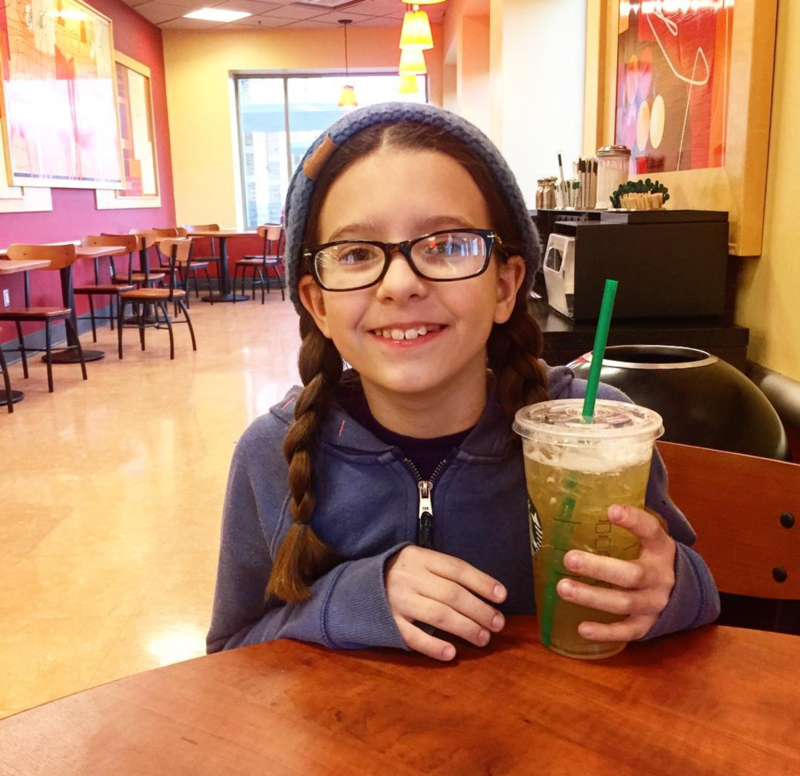 One day when he told me I looked nice (in my sweats, of course), I scoffed at him and rolled my eyes… then came face-to-face with my 8-year-old and thought “Jesus, what am I teaching her?!?! To shrug away compliments? To reject her future husbands praise? That her true beauty isn’t enough?? !” And, for that reason, I think twice before answering to a compliment. I pause and say “thank you” and THATS ALL. A simple thing to do-eve though in my head I’m screaming- but at least my daughter is watching me accept truth, accept praise and accept myself!! Oh! I love your thoughts on what it communicates to our kids. THANK YOU for mentioning that. I honestly hadn’t even really thought of that! so insightful!!! Along a similar line, I’ve been thinking about being careful not to only tell my girls (ages 2.5 and 4) they look pretty when they put on a “pretty” dress. They’re all about tutus and dressup and twirling and princesses and I realized I would say, “wow you look beautiful,” when they put one on. It wasn’t something I thought much about really, until the Lord showed me that as their mom, I can communicate to them the importance of inner beauty and how they are beautiful because God made them and loves them – no matter what they wear! Pretty dresses are fun, but they don’t create beauty. God does. I LOVE your post about accepting compliments as gifts. This is truly beautiful. Your section on compliments hit home. This morning my husband gave me a compliment about how I looked. I not only didn’t say thank you I responded with disgust and told him there was no way he could find anything attractive about what he saw. (I have heart failure and after my kidneys started to fail I was put on a medicine that made me gain 70 lbs. I feel disgusting.) My loving husband wrapped his arms tighter around me and reminded me I was alive, to be nice to myself. This year my goal is to give myself grace. Today I included doing so on how I SEE myself. Now tonight I will add to that to say thank you. Your words have sunk deep. I appreciate you opening my eyes even more. I’m SO grateful that you found those words helpful! Thank you for your encouragement! I bet to him you are the most beautiful woman in the world! That’s awesome about your daughter. I feel the same way about my oldest. She was very shy and school has helped her open up. I was shy all the way to adulthood, so I’m very happy to see her become more bold and have friends. I’m all for homeschooling, too, but know that a good school has it’s place. On the compliments thing, I used to always do that. For me, I think it was/is insecurity. By nature, I’m a shy introvert who’s totally unsure of myself. I’ve gotten better, but that’s probably one reason for me rejecting compliments. Add to that the fact that my face is in terrible condition, which makes for extra self-consciousness…and further reason to not accept a compliment, since I don’t feel the least bit pretty. I so get it! Thanks for sharing so honestly! I credit my daughter’s preschool and UPK teachers with bringing her out of her shell. She was so painfully shy when she started school. She has what I would call a healthy shyness now. She takes her cues from us as to whether a person is a good person or not. I don’t take compliments well because I was programmed to believe I don’t deserve them so I make every excuse in the book when someone says something nice to me. My husband pointed pout to me that I give credit to others and it makes sense to me. I need to change my thinking so that giving myself credit also makes sense. I need to look at how I would treat another person in the same situation. I can now see that I am a good photographer and that it is not “just the camera I use”. I can now accept compliments on my photography. Maybe you can start with one area and work from there. Love you, too, friend!! Thank you so much for all your work to put this product together! Thanks so much for sharing all of that helpful information! Thank you so much for sharing all of this helpful information! Love how you approached your daughter’s situation. It took courage, and I know you will see amazing results from listening to God. I’m so glad that your daughter is doing well. I am the mother of a reserved, only-child son who has social challenges. I have been discerning homeschooling for years, but have kept him in public school (he’s now in 3rd grade) mainly for social purposes. I know that for some children, homeschooling offers ample opportunities for socialization. If we lived in a neighborhood with lots of kids near by, if our homeschool community was in a closer radius, and if he were more outgoing, it would probably work for him. But in our situation, the opportunity to have several hours each day, five days a week, with a consistent group of peers seems to be getting him over the hump socially. I’m so glad your son is doing so well! Thanks for sharing! I love your honesty and your daughter’s willingness to share her struggle. My son has both dyslexia and dysgraphia and recently started at our local public school after homeschooling for years. I also discerned that even though I know my child best, and could have kept him free from anxiety or possible ridicule by keeping home, it was time to step out in faith. God has surpassed our wildest expectations! He went from crying every day before school (which, of course was devastating), to walking into school every day with a smile. School is still a challenge for him, but God has shown us just what this boy is capable of. Sometimes we need to be careful of “protecting” our kids from real, lasting growth. I LOVE this!! Parenting is hard — especially when it means making decisions that you know are going to be really hard for your kids but will ultimately (hopefully) be the best thing for them! I’ve gotten bad about the compliment thing lately too, and I caught myself and realized this doesn’t make the compliment giver feel good. Saying thank you with a smile acknowledges the nice thing they have done for you. And thank you for reviewing Megan Kelley’s book–I should scroll back up and check my spelling….but oh well–I’ve been wanting to read it. Dear Crystal. I would very much appreciate it, if you share some recomendations on children’s books that your kids are reading right now, if there are any, as I know that your kids enjoy reading. If it is possible of course. Thanks to you, I heard about The Jesus Story Book Bible and this book is one of my kid’s favoriet. You read my book Chaos to Clutter-Free last week, yay! Your book, 5 Days to a Better Morning, is on my list 🙂 I just started listening to What Alice Forgot since you’d recommended it, and it is very good so far. I’m so glad that Kathrynne is blooming in her new environment! For me, it was the opposite. I had an incredibly horrible school experience (my freshman year) so my mom pulled me out, and I absolutely thrived and blossomed during my high school years at home, then graduated early and very easily transitioned into college when I was 17. These weekly updates are fun, thanks for posting them! Thanks so much for sharing your perspective on the other end of the spectrum. I think it’s SO important that we never think one way or one road is what is the best path — or even the best path for every year! And that makes me so happy that your mom pulled you out of school and you were able to thrive and blossom at home. I was homeschooled almost the entire time (except for first and second grade), but I think I would have been the same way. Always my favorite post from you! I do the same thing with compliments and I know it totally discourages my husband! For me, a lot of it was learned from my mom (who is my best friend but we all have our faults!) and now I am trying to teach her to accept compliments! I know the reason I do it is because it feels arrogant to accept a compliment . But, I am learning humility isn’t about bashing yourself. It’s recognizing the worth of others while you also recognize your own worth. It will so help our kiddos when they can see us have self confidence and take a compliment, too. Learning and growing with you sister! This is why I will never homeschool my kids. This was exactly me as a child. I was homeschooled and was very shy and had zero social skills and my parents homeschooled me until college. I went to college and had a seriously hard time with everything. The sad thing was, I was a really smart kid, but no one in the world cares how smart you are if you can’t communicate it. I never spoke to my teachers, made very little friends, and if I did make friends, they were needy immature people that were a bad influence on me. I was never confident enough to seek out friends that were mature and wise. In my last years of college, I made a huge effort after studying and learning how to overcome this debilitating personality and I am a totally different person now. I would consider myself outgoing and friendly and I rarely have a situation where I feel shy. My oldest daughter is 5 and she was a sensitive child like I was, but from the time she was a baby I made every effort to constantly have social playdates with friends, and I put her in a part time preschool so that she would not be afraid of the “system” that we live in. I was terrified of going to school because my parents did not allow me to join the real world. I know as Christians we are not of this world, but that doesn’t mean we should impair our children and make them feel like they are outcasts and weird, so that they can’t communicate with others and can’t function in our society. My 5 year old is now so excited to start “big girl” school, kindergarten, in the fall and I’m so proud of her. She still is a little shy, but we meet new friends all the time, so she is used to being shy for a few minutes and then moving on through it and being able to play confidently with new friends and she is shy less and less. I do not let her give in to her fear and I see her growing through that. I think homeschooling is great in some situations, especially if the other available schools are not a healthy environment, but I would never homeschool a very shy child, you will just create this bubble that they can live in and never grow in that area. I’m glad you decided to move your daughter now and didn’t wait until college when her personality and fears would be much more set in place. Yes, I agree, every child is different. I’m glad you had a good experience being homeschooled. I can see some things that I’m gifted in, and they might be because I was homeschooled, like I’m a very out-of-the-box thinker, and very creative and independent, but then again, I have a really hard time working with people and I hate teamwork. Now that I’m an adult I feel I’ve overcome those things and can blame them on being homeschooled or perhaps that’s just how I am and nothing could have changed it. But, the biggest struggle was always feeling like an outsider as a child and never being able to connect with other “normal” kids. But, homeschooling was also different in the 80s, now there are so many more homeschooling opportunities, you can join more social groups and have a better rounded out education. This is exactly how I feel! Sometimes I feel judged for putting our kids in school after having them home but it was the right thing for our family at the time just as it was right having them home before. There’s not one right way to educate a child! I applaud you for reading books and materials from outside your particular frame of reference. I do the same thing–I deliberately seek out people and opinions who are different from mine. I want to understand where they are coming from, even if I don’t think I will ever agree with them on certain issues. In today’s world, it is so easy to demonize each other. I resist doing so. Further, I do not want to live inside an echo chamber where all I am surrounded with are opinions that are the same as mine. I think it’s unhealthy to do so. Finally, I think reading and seeking out different opinions best sharpens my critical thinking skills. It’s a mental exercise for me as well. Great post on all your topics, but your book review really spoke to me so I wanted to tell you how much I appreciate your efforts to go outside your zone. I do the same thing and I think it’s helped me. I really appreciate your story on the difficult decision you made regarding your daughter. I am so glad she allowed you to share it. We live near Nashville and have met you at the TTD conference there for homeschooling. My daughter too was having a hard time with social anxiety and social situations. It frustrated her to no end. I didn’t want to give up on homeschooling or what I perceived giving up. I also had two others at home. My daughter and I prayed and moved toward the same direction. I do get occasional guilt over it but reading your story really helped me know our decision was not alone. It feels good not to be alone. Thanks so much for your story. Its a great encouragement. BTW. Shes doing great. She even joined a cheer squad. She excelling in school and still able to run toward her passions in Art. Thanks so much for your encouragement! 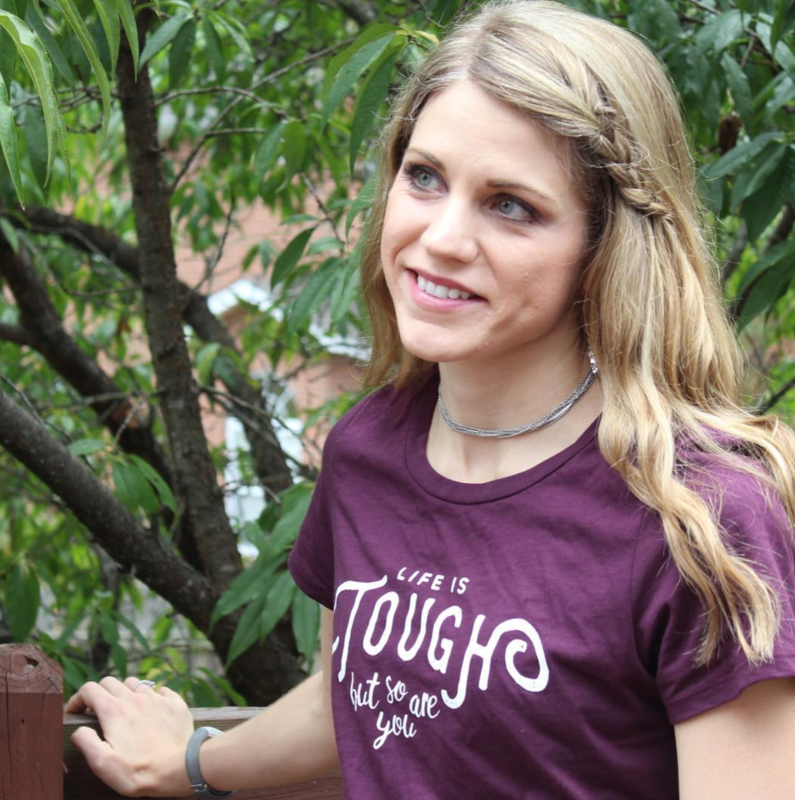 I’m grateful that sharing Kathrynne’s story encouraged you. I SO get the mama guilt! First, your daughter is beautiful! Happy Birthday to her! Your refusing compliments is interesting, because that’s how my husband, his dad, and siblings are. They use self-deprecating humor, too. My husband has said that sometimes he feels the compliments aren’t true. He’s a factual kind of person. So to him, if you say he looks hot(yes, my man does!? ), he will say that he’s overweight so he can’t look hot. And I’m all, “I can see past your muffin top, because I have one, too. Your face is amazing!” Haha! One time he had written, directed, and performed in a play. Afterwards, when I immediately saw him, I told him, “Awesome job!” He felt that was the case, too, and beamed. I also think it is a learned behavior along with personality. He doesn’t like long-winded, mushy compliments because he feels it is flattery and not real. And that’she how I normally roll, so I’very had to change my complimenting style to really encourage him. Both of my parents are very confident people and came from very confident families. My husband did not. And sadly it has affected him. So that is wonderful that you’re setting a good example!!! “He doesn’t like long-winded, mushy compliments because he feels it is flattery and not real.” —> Oh! I can relate to that so much!! Just like your precious daughter, my daughter struggled with social anxiety. Hers wasn’t only with peers her age, but even with family. She could not open up and talk to anyone and was just paralyzed with fear when it came to sharing at all. She felt so terrible about herself. She finally broke down one day and told me just how bad it was. I felt like it was somehow my fault and I was the worst mama in the whole world. After much prayer, I took her to a doctor (she was 17 at the time). The doctor recommended medication. I know nobody wants to medicate their child, but sometimes it is necessary. The doctor felt my daughter suffered from a chemical imbalance in her brain. The medication was needed to balance those chemicals. She has been on the medication for 9 months and the change is amazing! She is such a light to fellow college students and even teachers. She isn’t afraid to share her faith and is always the first to notice when someone around her needs some encouragement or a friend. She will most likely not need to be on the medication forever but I am so thankful she is on it and got the help she so desperately needed and she is too! Always remember, Crystal, that your precious daughter was made by God for a specific purpose. He made her exactly as she is for a reason and did not make any mistakes while forming her. Her quietness is not your fault and was not “caused” by homeschooling or anything you did or did not do as her mama. She is not somehow broken and needing “fixed”. My sweet girl has reassured me that she can tell that somehow something has been reset in her brain. She shared that she had a wonderful childhood and always felt very loved and that there was nothing I could have done differently to make her anxiety better. Please tell your sweet girl that she is not alone and there is nothing “wrong” about her. She is amazingly brave! This made me cry. I can only imagine how proud you are of Kathrynne … and for her to be brave enough to share this here, too! And I’m proud of you guys because I’m sure this was a tough decision! I was home-schooled, almost all of our nephews and nieces are home-schooled, and we have a lot of friends who home-school. But one of my twins has social and other developmental needs, so we put them in preschool and they’ve attended “regular” school all along (now in second grade). I’ve felt torn a number of times but I know it’s been so good for him! Home-schooling can be so wonderful, but our sonreally needed to be around peers, too. Wonderful to hear how your daughter is thriving! And I’m so glad you found a school that sounds like a great fit for your family, too! Thanks so much for your kind encouragement! You blessed me with this comment! Also, thank you for the heads up about Poldark! That is disappointing. My husband and I had watched and enjoyed the first few episodes but I definitely don’t enjoy shows that don’t seem to have a redeeming element! Someone emailed in today to say that there is a redeeming element. I didn’t see that from the reviews I read (I read from multiple sources online and all made it seem like it’s just left hanging in a dark place), but I’m curious if anyone else has watched it and has an opinion on that. Not to completely blow it for you, but I watched the whole season because I just couldn’t wrap my brain around the fact they would let their marriage fall apart! In the last episode, he finally comes to Demelza and says he was wrong and they make up. However, all the previews of season 3 make it known that he fathered a child so there’s that…. I’m tempted to read the synopsis of the books to get an idea of where they are going. Thanks so much for sharing… I’m so torn as to whether to keep watching based upon all the mixed reviews I’ve been hearing. I personally really enjoyed Season 2 of Poldark. There are definitely reminders of how fallen we are and that sin’s consequences affect more than just the sinner but ultimately I did find it a great series and I look forward to season 3. Have you watched The Queen on Netflix? LOVED it! My mom always answered compliments by negating them. It bothered me because I noticed how it often made the person who gave the compliment feel bad. At some point, I found myself thinking of what she could have said instead. A simple “thank you!” Is the easiest, but didn’t come easily to her. “I’m so glad you like it” also works well. I think I am able to accept compliments even when I don’t feel deserving because I spent so much time thinking of responses for my mom to use! I wish you well on your journey to accepting compliments graciously and humbly. I don’t watch much TV, but Hunted sounds good. Do you watch it on regular TV or another service? I would like to get rid of cable, but haven’t had the time to research Netflix, Hulu, Apple TV, etc to know if we could get the shows that the family watches. My 12 year old has also struggled with feeling included, even with kids who she could relate to. God blessed her this year through our church. The first week we were there, she said some girls came up to her and said, “We’re gonna be friends.” They’ve kept that promise and it has been a blessing for her and for me to watch. I’m suppose to be reading “The Other Boleyn Girl” for a library program, but I can’t seem to get into it. Crystal, please thank your daughter for her courage in letting you share! We have an 11 year old in her situation and her story encouraged us to pray about this for her. I still have a little bit of trouble coming up with what to say when someone compliments me, but if nothing else, I’ve learned to say “Thank you”. Mainly, I learned this by listening to others not accept compliments I gave them ~ giving excuses, or really not accepting it at all. I realized in my own reactions, I wasn’t looking humble or gracious but rather rude. I think it is okay to remark things like: ‘thank you, I’ve been trying really hard’ or ‘thank you, this wasn’t easy for me’, etc. Acknowledging an area where we don’t feel like we’ve quite measured up, but still thanking the person for the compliment especially from people who are going out of their way to bring joy to others. Don’t take their joy away from noticing something that made them take note. Don’t discourage them from complimenting others. Appreciate that they took the time to compliment you and take it as an encouragement. Sometimes we pray for God to encourage us and we dismiss the way he sends it. I’m glad to hear other homeschool parents willing to change their plans when God gives them a new direction. We homeschooled for 5 years and I thought I would never send one of my kids back to institutional school…especially where we live. God had told me several years ago to send our oldest back to public school because she was refusing to learn at home. We argued half the night and he gave me half a dozen reasons why she needed it and another half a dozen as to why I needed it (she was extremely rebellious and angry). In the end I obeyed. She ended up dropping out to get her GED and leaving home at 17. While it was very stressful it was in the end what was best for everyone. I thought because her issues were extreme that I would never send another child and I would homeschool them until they graduated. However, last December (2015) God told me to prepare my other two to go to school the following fall. This was especially hard because my youngest had always been homeschooled. This time I only needed one good reason for each one to say, “OK lord, you know what your doing.” This school year has turned out to be a wonderful growing experience for each of my kids. My middle child is gaining confidence and learning to stand up for herself. My youngest (who had extreme social anxiety) even joined in the local basketball league this year. He loves school and has made good friends. God always knows best and we can never go wrong trusting what he says. We may know our kids better than anyBODY but he knows them even better than we do because he can see their hearts. I wish I could read and run at the same time, I get so bored running on the treadmill, but I think In would fall off if I was reading! I’m happy for your daughter and how changed she is! It’s so great that you listened to God and put her in a regular school and that she responded well to it. I’m the same way with compliments. I need to learn how to accept it and be thankful to others who give them to me. Aww I’m soo happy to hear that about Kathrynne! She’s so beautiful! Thank you so much to both you and your daughter for sharing your story about this change of direction in her schooling! What a true blessing it is to have multiple options in your area. I am very curious, though, and would love for you to share when you and your other kids are comfortable… why did you choose to send all of your children to the same school? I totally understand sending your daughter, but how did you come to the decision that this was best for all three? I have three children myself, just entering school, and I’m very confident about my decision for one child but not so certain about the others. When we told Kathrynne that we had made the decision for her, she asked if they could all go as she said she felt more comfortable with that. After talking it over and thinking through it thorough, we felt like that would be the best option for our family. And the kids have all done SO well and we’ve definitely seen them thrive. I think them all sharing it together has definitely made a big difference for Kathrynne. My daughter struggled with this the past year. We went to an inclusive center where they have therapists, medical Doctors, occupational therapists, speech therapists, etc. They did a lot of testing and decided to put her on anti-anxiety pills. We have our child back! Her teachers are amazed, she isn’t hanging out in her room all the time and she even tells me how good she feels about life now. I think all the changes with their hormones and a new school (middle school) and such are sometimes too much to handle. As our Dr. said “if you’re diabetic, you take insulin. If your brain doesn’t produce enough serotonin, you need a medication for that”. No shame. (And I have been on them for years so it runs in the family). Thanks for sharing your story. I totally understand the taking compliments thing. However, in college one day a friend complemented my outfit. I told her it was just a clearance item. Then she told me in a kind way that always dismissing compliments was telling those who compliment me they are wrong or have bad taste. Humility is self forgetfulness or not always thinking of yourself. It is not self loathing our saying we are bad. We are God’s creation. He made us well not just everything else. You look so beautiful, Crystal! I love your whole look: hairstyle, jewelry, purple shirt choice and smile/joy in this photo of you! Be encouraged.